Spin Rewriter 8.0 Review-Can it Spin Your Content? The articles that are spun aren't even readable. There have been times when I have seriously thought about using Spin Rewriter 8.0 to spin content. Not for this site, but for clients I had worked for as a freelancer years ago. There is something about being able to use content that you haven’t had to spend a ton of time writing. The problem is, even spun content can have a negative effect on your sites and blogs. This is what Spin Rewriter 8.0 is all about. In this in-depth Spin Rewriter 8.0 review, I will lay out everything you need to know about Spin Rewriter 8.0 so you can avoid this program at all costs for yourself. Spin Rewriter 8.0 is an online content program that prides itself on the ability to give members the option to spin existing articles into new and unique content to use on their websites. The problem with spun content is the fact that once Google learns of you using spun content, they will penalize your site almost instantly. The articles that are spun aren’t even readable. The primary target audience for Spin Rewriter 8.0 are website and blog owners who need new, engaging and unique content to upload consistently on their site. Primarily it is targeting those who are new to the online business world and who don’t understand the ramifications of using spun content on their sites. The only thing I like about this program is the free trial option. I like the fact that the owner of Spin Rewriter 8.0, Aaron Sustar, actually gives new members this option so they can try the product for themselves before spending money on it. Before you even get to try the Spin Rewriter for youself, you need to navigate at least 4 upsells first. Each upsell is trying to sell the Gold membership, WP License, Rankings package and even a discounted rate for the Gold membership. While I understand this is all apart of standard online business practices, it gets incredibly annoying. For people who don’t know, having spun content on your website can actually be more damaging than you realize. Not only is most spun content completely unreadable, but it can actually lead to penalization of your website in the process. With that in mind, the price of $77 a month is absolutely rediculous for something that will ruin your site, not even mentioning the price for the other upsells. 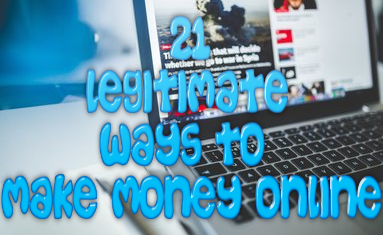 As an example so you can see for your very eyes the readable quality of the articles spun by Spin Rewriter 8.0, I decided to use one of my posts here on MakeRealMoneyOnlineFree.com. called, “How can I work from home with no experience?” Let’s look at the original section I ended up spinnning below. This is a portion of the original article that I decided to spin. It seemed pretty straightforward to spin the article. With Spin Rewriter 8.0, it picks common synonyms to use in your article in order to change it up. Depending on the length of the article, this can be incredibly time consuming. However, after picking out the synonyms as closely to something readable as I could, I ended up with the following article. As you can see, while a majority of the article is readable, there are some sentences that just make absolutely no sense. Also, compared to the original article, much of the text is the same. So much so in fact, when I double checked the article in Copyscape to verify its uniqueness (as Spin Rewriter 8.0 claims is to be), it immediatetly comes up flagged as duplicate content straight from my own website. Honestly, after trying Spin Rewriter 8.0 for myself, it is not a program I particular like, let alone recommend using. Not only is this a program that can potentially harm your site if you use it to post duplicate and un-unique content onto your site, but it will not boost your rankings as it claims to do. 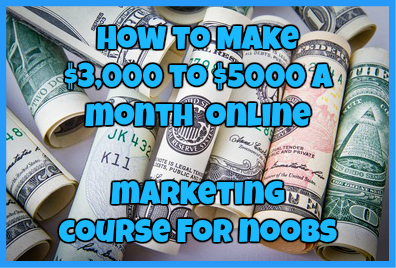 Not only is this program too overpriced, but it can harm your online business in the process. It is always better to create your own content, even if you have no experience doing so. If you want to learn how to write content on a website, be sure to check my latest post here. Have you tried Spin Rewriter 8.0? If so, what did you think of it? Let me know in the comments below! ← 8 Best Ways to Increase Traffic for Your Website in 2018-Kick off the Year Right! Quick Cash System Scam Review: An Automatic Binary Option System Scam? The fact that a program like Spin Rewriter 8.0 can be profitable.. just shows that people are getting lazier, I would never consider using a program like this because like you said it’s not reliable, and it’s overpriced. People looking for content writers would be much better going to Fiverr, and even then it’s good to write your own content. There’s nothing wrong with having people other than yourself write the content but I’m glad that I read this review to learn that Spin Rewriter 8.0 isn’t the way to go. Good review I’m sure this can save people money that can be better spent elsewhere.. I am interested in knowing how do you write out good content? How do you get good ideas for content? Thank you for the comment! Actually, I wrote a WHOLE post on how to write content for a website with examples of my own templates that I use to create content everyday for my various sites.